You never know what conversations you might come across on Youth Voices, a blog that is home to thousands of teen-written posts and comments on current events, gender inequality, and other topics. Last March, a discussion arose around the novel “Sold, by Patricia McCormick, about a Nepali girl named Lakshmi whose stepfather sells her into slavery. The students discussing Sold online attend International Community High School (ICHS) in the South Bronx. It is part of a network of 22 unique schools around the country intended for students who have recently entered the United States. 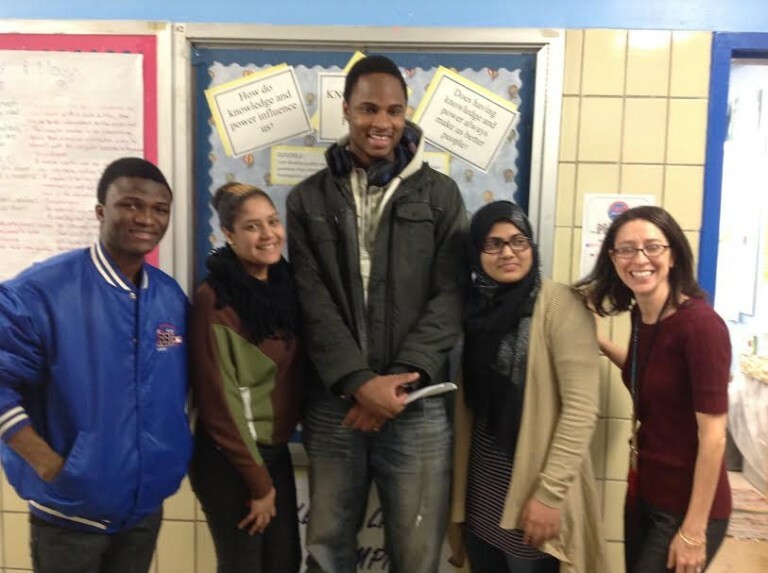 Jane Higgins, director of the NYC Writing Project, said students attending ICHS in the South Bronx experience nearly every obstacle a young person might face living in concentrated poverty while also contending with varying degrees of English literacy. Some students have been in the United States for up to four years, but others are far newer immigrants. More students arrive each week. Most are from the Caribbean, Mexico, and Central America, and some entered the country unaccompanied and undocumented. 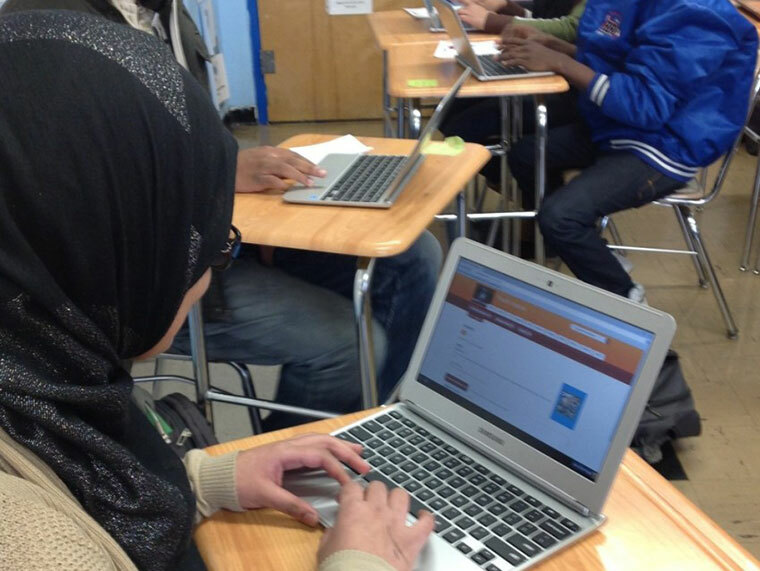 In 2014, ICHS faculty saw a need to ensure that despite their students’ limited English and literacy skills, young learners at ICHS could take advantage of the educational opportunities online tools afford. Because many of their students lack internet and computer access at home, teachers grew concerned that their students could be left out of the literacy-rich online environment most of their peers inhabit. 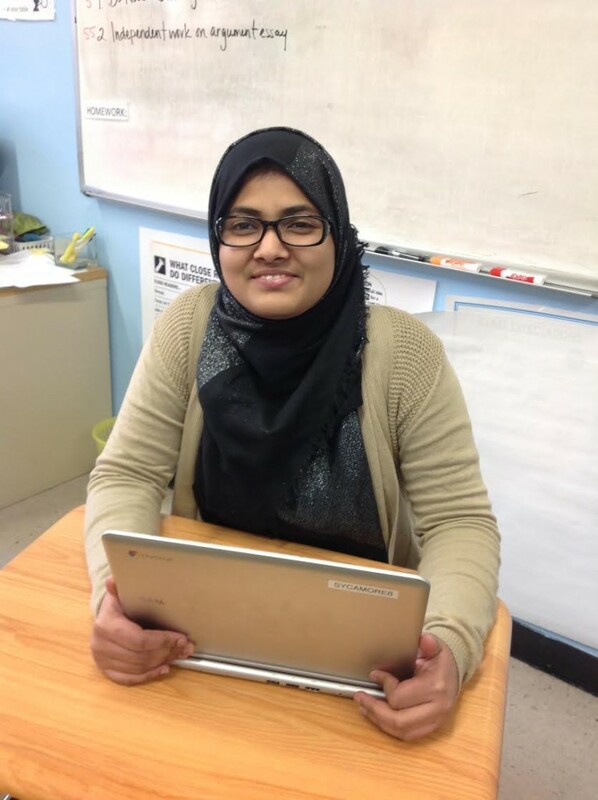 So in 2014, the New York City Writing Project partnered with four teachers at ICHS to apply for an LRNG Innovation Challenge Grant to extend opportunities for student-driven online writing projects through the Youth Voices platform. The LRNG Innovation Challenge grants stem from a partnership between the National Writing Project and John Legend’s Show Me Campaign to help educators extend time and space for connected learning. After receiving the grant last year, ICHS teachers and students, and two NYC Writing Project teacher-consultants, came together in six afterschool workshops over six weeks as students extended their classwork by writing posts for authentic audiences. After learning more about Youth Voices in the workshops, Nick Deming, an English Language Arts teacher at ICHS, decided it would be the perfect platform for discussing Sold, and he prompted students with questions that kick-started a rich conversation. Because teachers of English-language learners have a lot to balance, Higgins said, it was important to present Youth Voices as a curriculum that teachers could use rather than as just another layer on top of existing work. Higgins said the benefits of a Youth Voices-based curriculum go beyond just providing access to technology and the internet. Educators at ICHS also used it in classrooms to expand opportunities for connected learning—learning that lets students experience people, places, and things beyond school walls. Opening new opportunities for that type of connected learning, she added, is important in ELL classrooms, where, because of students’ limited English skills, it can be challenging to move away from teacher-centric curriculum models.